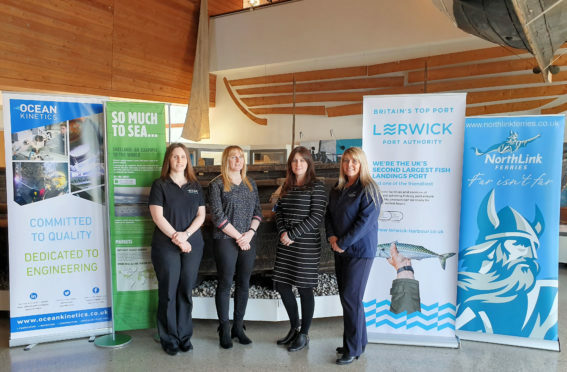 Appropriately for the fourth year of the event, organisers, Shetland Amenity Trust, have announced four main sponsors including Ocean Kinetics, Serco NorthLink Ferries and Lerwick Port Authority, with seafood marketing campaign So Much to Sea coming on board for the first time. Each sponsor has natural connections with maritime activity and are able to offer activities, support and funding to the festival. The seven-day event has also received the backing of Promote Shetland who are visiting Portsoy in June to attend the Traditional Boat Festival and share the history of the festival. Event organisers are to attend the event with a traditional Shetland model build, the Hine Motu, built by Jimmy Smith in the late 1960s. The boat was recently relocated from Cornwall to its Shetland home by Frank Johnson. Ruth Mackenzie, Shetland Amenity Trust chairwoman, said: “Shetland Boat Week is a growing event which we know is well received by the Shetland community. “There is no other event which caters for the maritime traditions in this way and the support we receive from our sponsors is greatly appreciated. This enables us to give people of all ages, both local and visitors the opportunity to get out on the water, learn about the use of boats and facilitate skills development and retention for the traditional practices.